We all have a story. If you were alive on September 11, 2001, you have your own 9/11 story. Let’s back up. In the early fall of 2000, my husband and teen aged son and daughter began discussing a possible fall break trip. I had had been to NYC only once, a trip in 1986 during the reopening of the Statue of Liberty. That is a story for another day. The trip was booked, planned, and off we flew for a few days in the Big Apple. Seeing a few Broadway shows was on the agenda, and of course, the normal tourist spots, one of which, was the World Trade Center. As luck would have it, we ALMOST didn’t tour it. We were tired that day. It was late afternoon. But we pushed through the sore calves and thirsty throats, and got our tickets to take the super fast elevator to the observation floor of the south tower. That experience is forever in my memory. We have pictures from the South Tower, in the background the North Tower antenna is visible. The date was October 11, 2000. Eleven months prior to the attacks. On that fateful day, of 9/11/2001, our family sat around the dinner table in shock, just like most of you. My husband and daughter, both regretting the decision to not go on the NYC trip, forever sealing the history of no opportunity to experience WTC as we had. But that is the way life works. None of us can see ahead to next year, next week, or even tomorrow. Here we are years later. We all think back. It is still so hard to comprehend. Oddly enough, that teen son of ours moved to NYC after college and now works in Manhattan, just a subway ride away from the 9/11 museum and newly constructed Freedom Tower. I visit there often. And think. And reflect. It is a place where everyone needs to visit. The memorial and fountains are breathtaking. I have taken grandchildren to the fountains and explained the events. It happened before their birth, which gives me pause and difficulty to process. After all, in some ways, it seems like yesterday. My now adult daughter and her family have also visited, emotions of their own expressed as well. If possible, tour the museum which is under the fountains, in the footprint of the former towers. It would take an unmeasureable amount of time to read and comprehend all the material there, so give yourself lots of time. I do not recommend the museum for the very young. Make sure your children are AT LEAST 10 years old, and even at that, give thought to their maturity. It is sad. It is solemn. It requires and deserves respect. We can discuss the story, the stories of 9/11 more at a later time. We think we know everything about that day. But when you tour the museum and ask workers there “What’s your 9/11 story?” we realize, there is so much more. For today, let’s remember and honor those who were lost that day, years ago. Let’s think of them. Let’s think of their life stories….. the stories of their families….and how changed they are, and we are, due to those tragic moments. 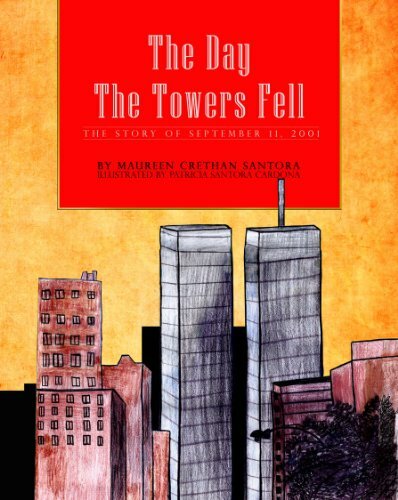 Our children today need to know about 9/11. I shared my story with kindergarten students and my grandchildren as well. Now you know my 9/11 story. Be sure to pass yours along to the children in your life. This post may contain affiliate links. The small commission we make from affiliate purchases helps keep me in coffee and books but doesn't make a difference in what you pay. All opinions are my own and I only suggest items I truly love. Please see our full disclosure for additional information.